A woman has appeared in court charged with the murder of Paul Taylor. 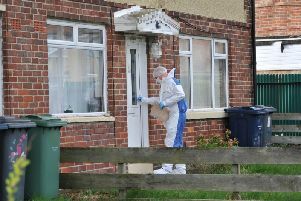 Nicola Lee, 44, of Thames Avenue, Jarrow, appeared at South Tyneside Magistrates’ Court today charged with the murder of Mr Taylor. She spoke only to confirm her name and address and was remanded in custody. Chair of Magistrates, Nicola Burns, sent the case to Newcastle Crown Court, where Lee will appear on Friday, April 5.